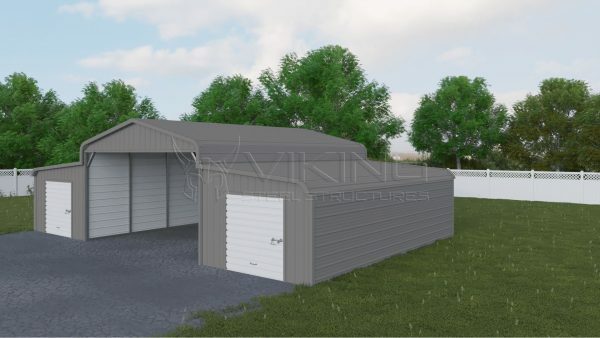 46′ wide x 50 ‘ long Vertical roof style Carolina Barn. 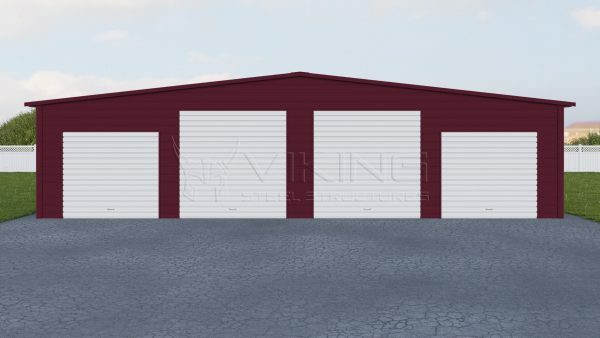 Center unit is 22′ wide x 50′ long with 12′ side height, both ends closed with one 12′ x 12′ garage door. 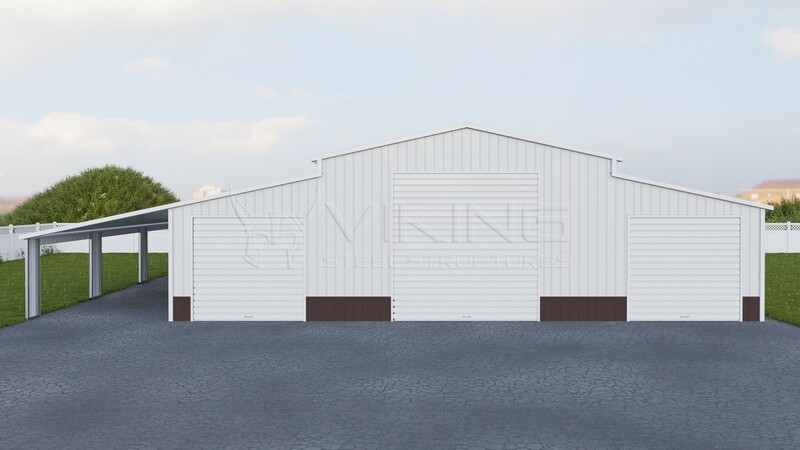 Two lean tos 12′ wide x 50′ long with 9′ side height fully enclosed with two 9′ wide x 8′ tall garage doors. 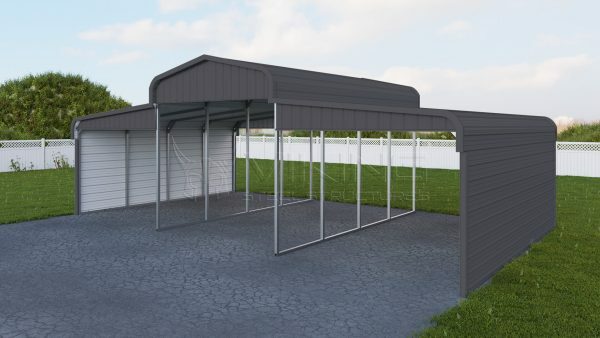 One lean to attached on the side 12′ wide x 50′ long x 7’ side height with 4 side openings with sheet metal around openings. 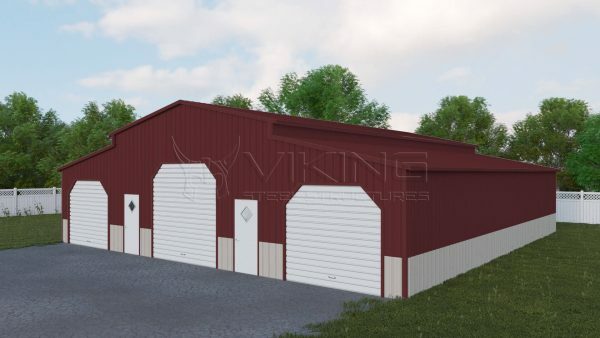 Check out our tools that helps you in creating your own custom metal building. You can get in touch with us or Call us to know more. Get a free quote now or ask us a question, it's free, simple and fast.